MANCHESTER — For the second time in two years, Mother Nature stole the show from the Manchester Symphony Orchestra, forcing the rescheduling of its Feb. 9 concert to Saturday, Feb. 23 at Manchester Community College. The concert, titled “The Many Shades of Love,” begins at 7:30 p.m. in the college’s SBM Foundation Auditorium. Paul Phillips, a candidate for Manchester Symphony Orchestra and Chorale’s next orchestra music director, will be the guest conductor. Phillips’s extensive conducting experience includes concerts and recordings throughout the United States and Europe; he is also a composer and music scholar. 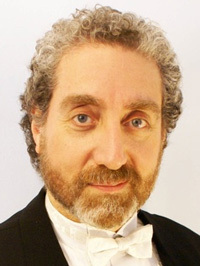 Currently, he is a member of the faculty at Brown University, where he is director of orchestras and chamber music, and is music director and conductor of the Pioneer Valley Symphony and Chorus. Each of the orchestra concerts in the symphony’s 53rd season has been an opportunity for one of the candidates to guest conduct. February’s concert is the last of these concerts before Manchester Symphony makes its choice. The program includes music inspired by one of the greatest romances, Tchaikovsky’s “Romeo and Juliet Overture.” This concert is not only about romantic love, but all the ways that music expresses our hearts’ desires. The major work for the evening, Czech composer Antonin Dvorak’s “Eighth Symphony,” is full of references to his native land, from a gentle bird song to a lively Bohemian dance. His fame took him far and wide, including a three-year stay in America. The prestigious position in New York City and a long visit with his extended family in Iowa weren’t enough to overcome Dvorak’s yearning for home, and he returned to spend the rest of his days in the land he loved. One of the most famous arias from Franz Lehar’s operettas, “Dein ist mein ganzes Herz (Yours is my Whole Heart),” expresses a poignant choice between romance and love of country. An Asian prince falls in love with a Viennese beauty, and must persuade her to forsake her homeland for his. Tenor Michael-Paul Krubitzer joins the orchestra to sing this beloved melody. Love for our children is exquisitely captured in Maurice Ravel’s “Pavane Pour une Infante Defunte (Pavane for a Dead Princess).” Although Ravel’s princess has no name, the pavane was a dance of the Renaissance Spanish court, depicted in Velazquez’s paintings of the Infanta Margaret Theresa. The melody evokes the graceful figure of a child whose image, even after centuries have passed, will never grow old. Tickets are $18; $15 for seniors and students, and free for those younger than 18. Tickets may be purchased at the door.